With the newly released iOS App you can now record your work in real time. 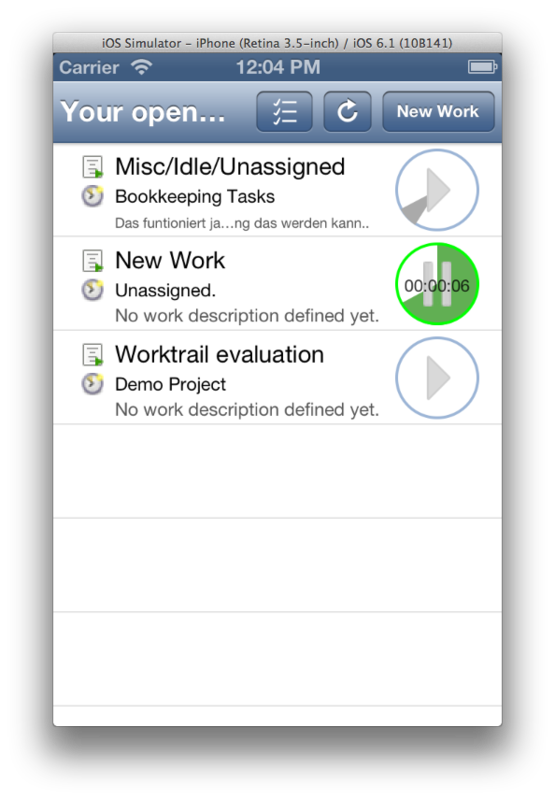 Just like with our Android App you can easily switch between open work entries, start a new work, assign it to tasks and even handle basic task management on your iPhone. Download it now from the Apple App Store. We always appreciate feedback - Join us on Facebook, Google+ and Twitter. See our contact page for more details.